Hello again - just a short post this week. 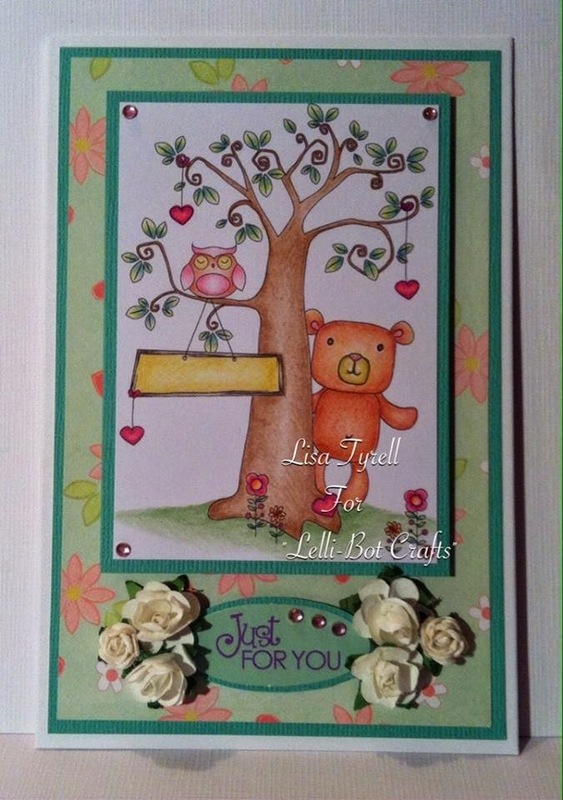 Design Team member Lisa has been busy creating with the newly released digi stamps. Take a look at these amazing cards! Aren't they fabulous? 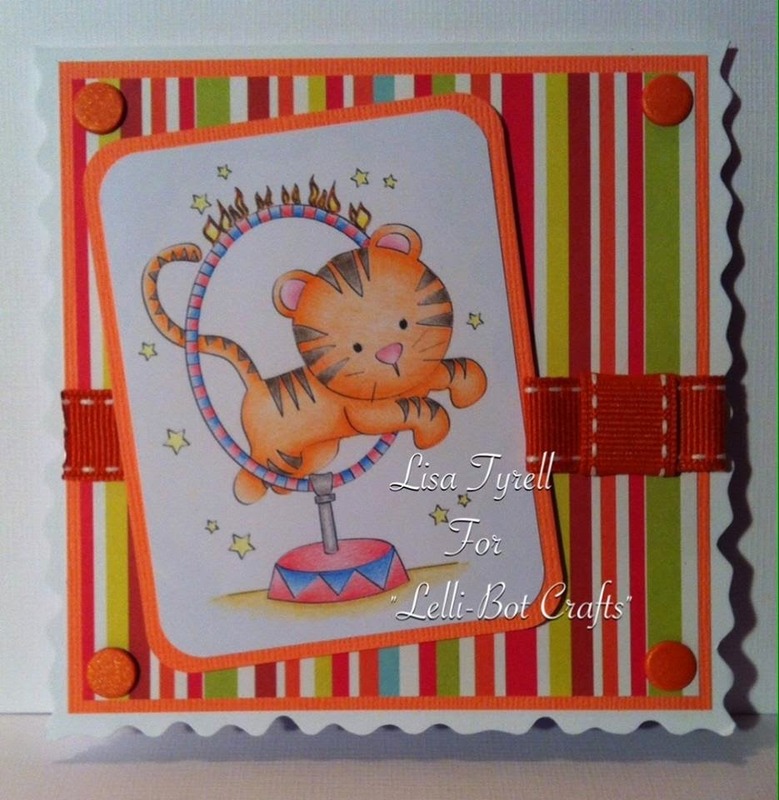 Lisa has made these cards so that the images are the main focus and you can see their transformation once coloured. 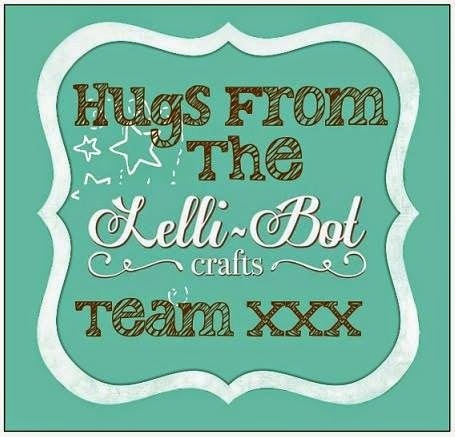 The current range of digi stamps are available on the Lelli-Bot Crafts website here. 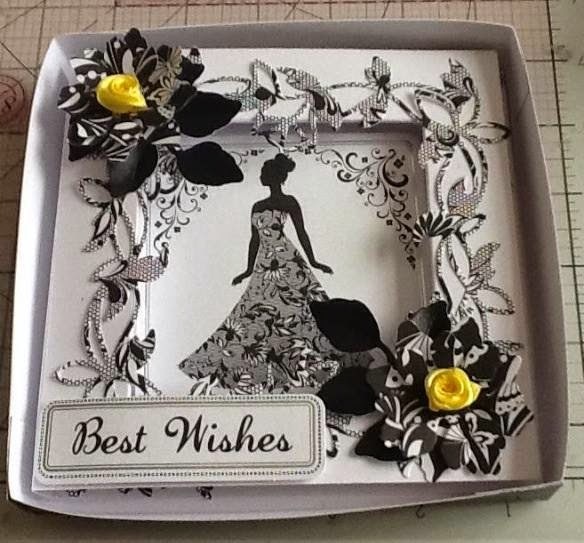 Now to our Make Of The Week and it is this card by Christine Harman using Pure Elegance - Butterflies and Lace. 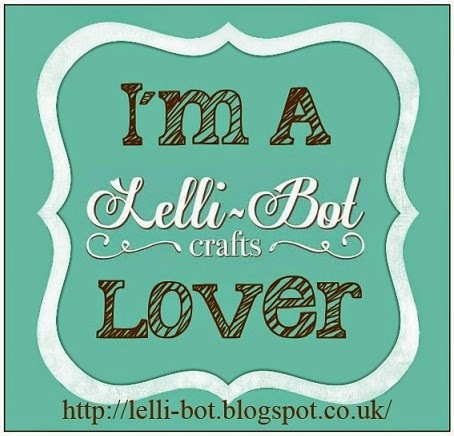 Please get in touch Christine and we will get your blog badge to you and well done! 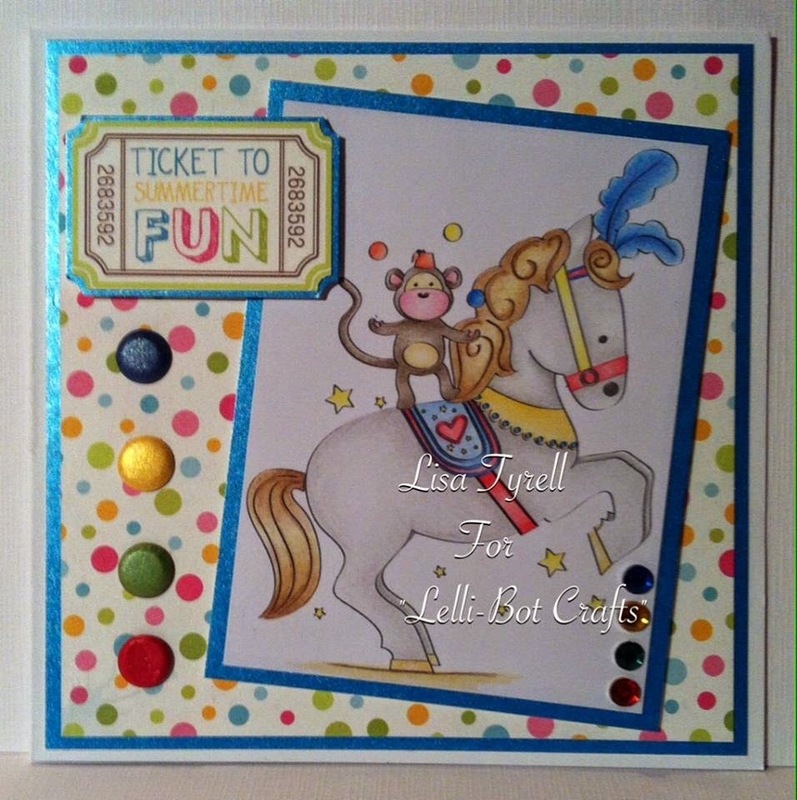 Well that's it for this week - don't forget our ongoing challenge using the following digi stamp. You can request a pre-coloured version if you prefer, please see the blog post dated 30 April for full details. These are stunning Lisa! You are very talented with your pencils ;) Congratulations to Christine too. I saw these on fb a few days ago. My fav is the umbrella & boots. I hope people see the digi images in a new light and what can be done with them. 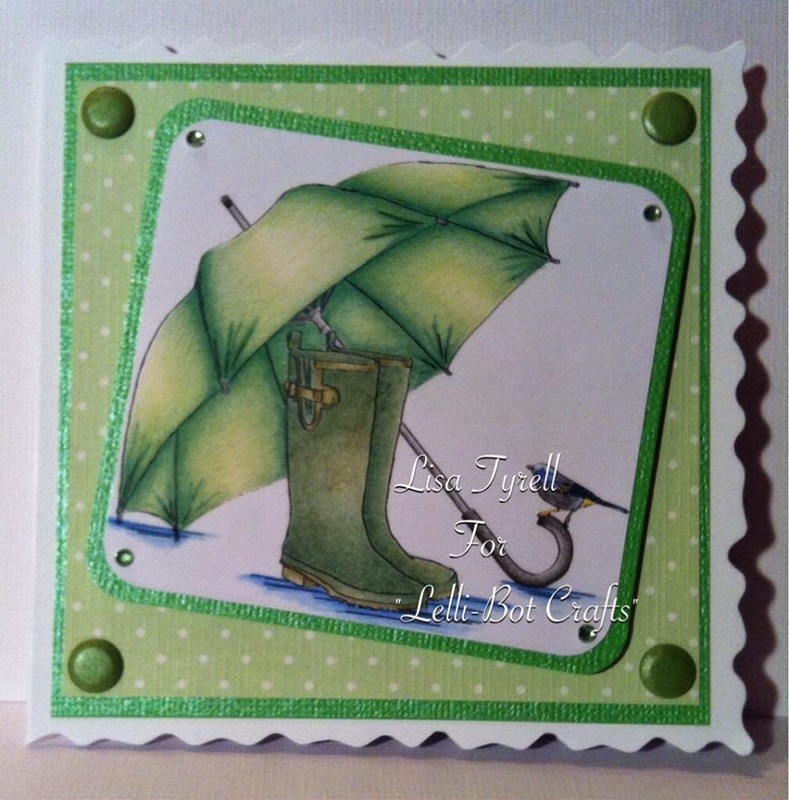 Lisa your cards are fab, i love the umbrella the definition you have created with your colouring is brilliant.